A social story about how and why people give compliments, & a simple visual support for giving compliments. 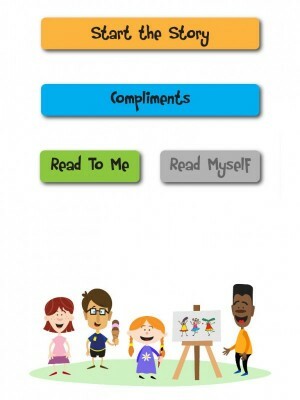 This app includes a social story about how and why people give compliments, and a simple visual support for giving compliments. The story focuses on why it’s important to give people compliments, and how you should react when a compliment is given to you. The app opens up to a menu that lets the user choose to either read the story or go to the “compliments” page. The social story describes why it’s good to give compliments, and what types of things you can compliment someone on. 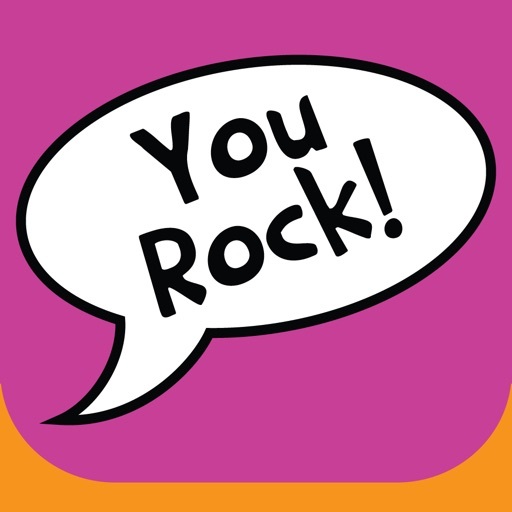 The “compliments” page has six buttons with different compliments from the story that play an audio clip of the compliment when pushed. 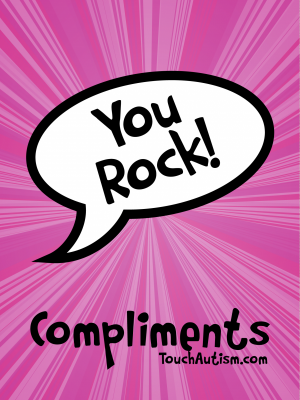 Compliments are often used to create, maintain and strengthen interpersonal relationships between people. From early childhood the giving and receiving of compliments are fundamental tools of personal interactions and conversations. 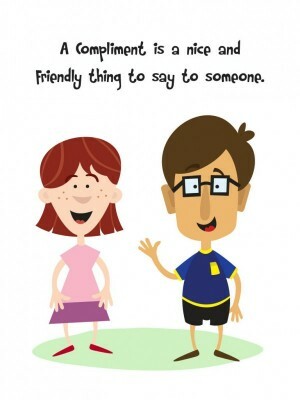 Typical children usually develop an understanding of compliments without direct instruction from adults. This makes it is easy to forget that this may not be the case for everyone. Certain individuals, particularly those with social or communication delays, like someone diagnosed with an autism spectrum disorder, may need more direct instruction in this important skill. 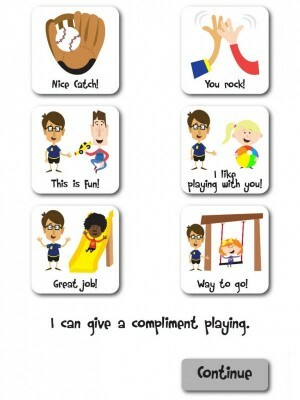 Teaching social skills such as giving and receiving compliments to any child may be easier and less stressful when visual supports, like social stories are used. Social stories are an important type of visual support often used with children diagnosed with an autism spectrum disorder, Down syndrome or other special need. 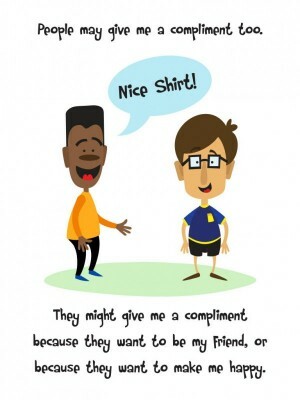 This social story uses simple text and descriptive pictures to how to compliment someone, and how to react when you are complimented. Social stories were first defined by Carol Gray in 1991 and are commonly used to break down a task or social situation into small and easy to understand steps, often accompanied by descriptive pictures. Social stories are easy to implement and are used by many professionals for a wide range of behaviors and skills.